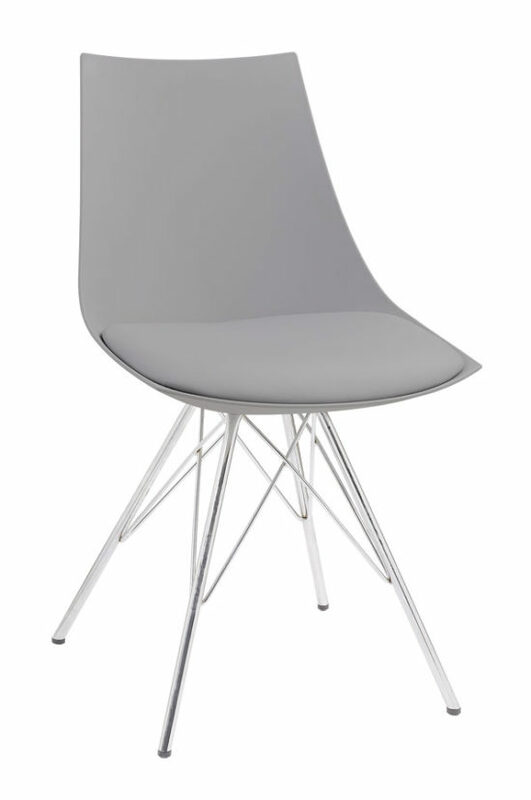 Audrey Dining Chair Grey by Emerald Home Furnishings. A little of this and a little of that, that’s Audrey, a new collection from Emerald Home. 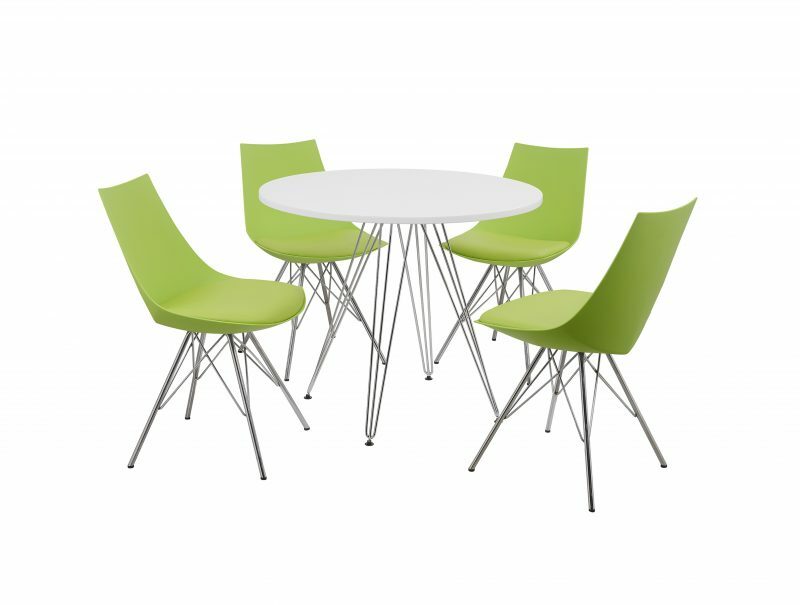 Small scale tables, a round cafe table and a round dining table offer a dining solution for those with limited dining space. 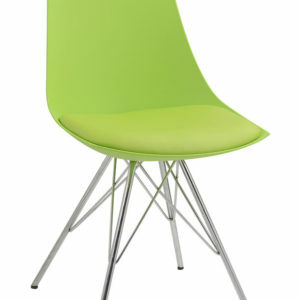 A splash of color brings life to the dining experience with polypropylene chairs. And perhaps the adventurous among you will mix greens and grays to create your own “look”. 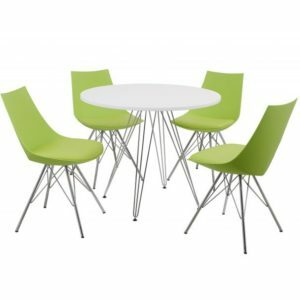 Chrome chair and table bases with exposed chrome struts tie all the parts together and give an exciting architectural look to all of the pieces in the collection. Add a little of this to a little of that and you get a whole lot of dining fun with Audrey. 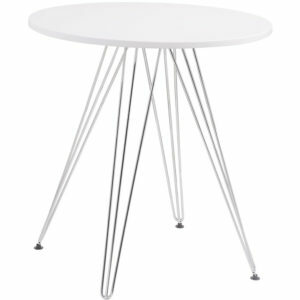 Chrome plated legs in popular architectural design.